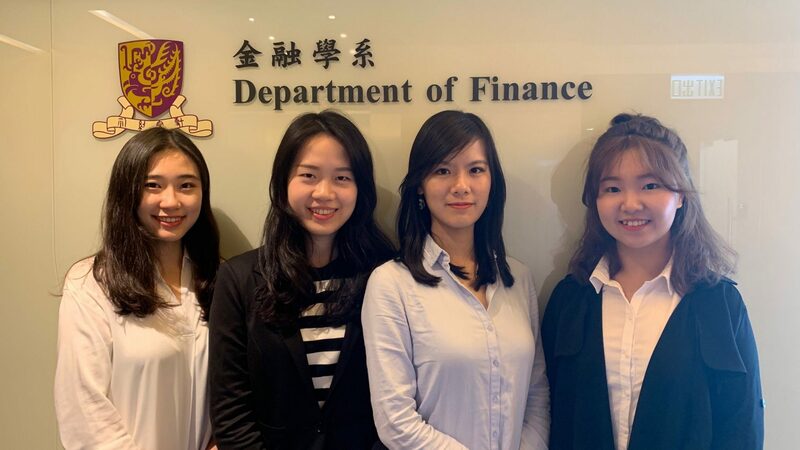 A team of MSc in Finance students representing The Chinese University of Hong Kong (CUHK) Business School won the Best Speaker Award at the McGill International Portfolio Challenge (MIPC) finals in November 2018. They were one of 25 teams to reach the final round in the championship. Team members Qiao Qingyue, Qian Yating, Xu Jiaxin and Yu Kun were recognised for their outstanding performance at the competition. McGill International Portfolio Challenge (MIPC) is the world’s premier university buy-side finance challenge on portfolio construction and institutional investing. The best and brightest students from across the world entered to compete and the top 25 teams were invited to Montreal, Canada for the final round of the challenge in November 2018.